Maya Lin is a renowned American architect and sculptor, best known for her minimalist designs, reflected in the Vietnam Veterans Memorial in Washington, D.C., the Langston Hughes Library and the Museum of Chinese in America in New York City. 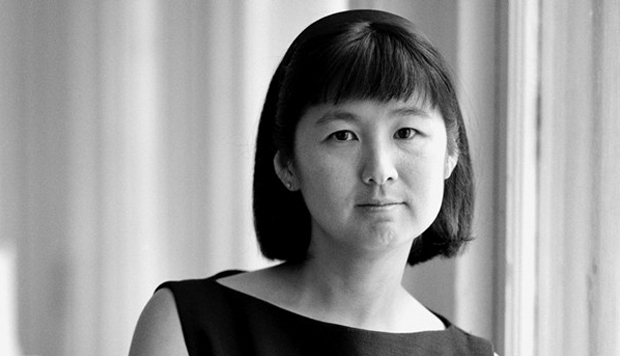 Maya Lin was born on October 5, 1959, in Athens, Ohio. Her parents were notable Chinese intellectuals, who were forced to flee their native country in 1948, in order to escape the political turmoil created by the Communist takeover in 1949. Maya attended the Yale University, in 1981, she graduated with a bachelor’s degree in architecture and sculpture. During her senior year at Yale, Maya took part in a nationwide competition to design a monument to be dedicated to the memory of the soldiers who had sacrificed their lives fighting in the Vietnam War. At the age of 21, Maya won that competition, her design scored the first prize, and was brought to life in the form of the Vietnam Veterans Memorial in Washington, D.C. The building was constructed slightly below ground level, and the design was a sleekly polished, V-shaped granite wall, which inscribed the names of more than 58,000 soldiers, listed in the order of their death or disappearance, without any embellishments or decoration. Despite that, the monument is celebrated for its simple and silent grace that is found its abstractness. The monument, from the day of its unveiling on November 11, 1982, Veterans Day, to this day, continues to inspire millions of people who visit it to pay tribute to the sacrifice of the soldiers. In 2007, the American Institute of Architects awarded the monument its 25-Year Award. Following the completion of the monument, Lin decided to resume her education, and she enrolled at Harvard University to pursue her graduate studies in architecture. However, she soon began working for an architect in Boston, and decided to leave Harvard. In 1986, she received her master’s degree in architecture from the Yale University. In 1988, she was commissioned by the Southern Poverty Law Centre to design a monument dedicated to the civil rights movement. This monument was another demonstration of the simplicity of her work, it comprised of two element, a curved black granite wall that had a quote of Martin Luther King Jr.’s “I Have a Dream” speech engraved on it, and a 12-foot disk with the dates of major civil-rights-era events and the names of the 40 martyrs of the cause inscribed on it. Lin began incorporating the effects of nature into her designs, and in 1993, she employed the use of water while creating a monument to honor the presence of women at Yale. Now, she began to show greater inclination towards incorporating natural elements into her work, by transforming grassy and urban landscapes into panoramas that reassembled gigantic waves of water, this effect of nature is demonstrated in her projects such as the Ann Arbor’s The Wave Field, Miami’s Flutter and upstate New York’s Storm King Wavefield. In 2000, she was commissioned to design a project to commemorate the bicentennial of the Lewis and Clark expedition, she made effective use of natural elements to create dazzling seven art installations along the Columbia River. In addition to that, Lin is also accredited for the design of the topiary park in Charlotte, North Carolina, and the installation of 43 tons of shattered automobile safety glass at the Wexener Centre for Arts in Columbus, Ohio. Lin has served as a board member of the National Resources Defence Council, and she was also, a member of the World Trade Centre Site Memorial design jury. Maya Lin has been the recipient of numerous awards and accolades including the National Medal of Arts. She has also been the subject of a film, “Maya Lin: A Strong Clear Vision”, which won the 1994 Oscar for best documentary.